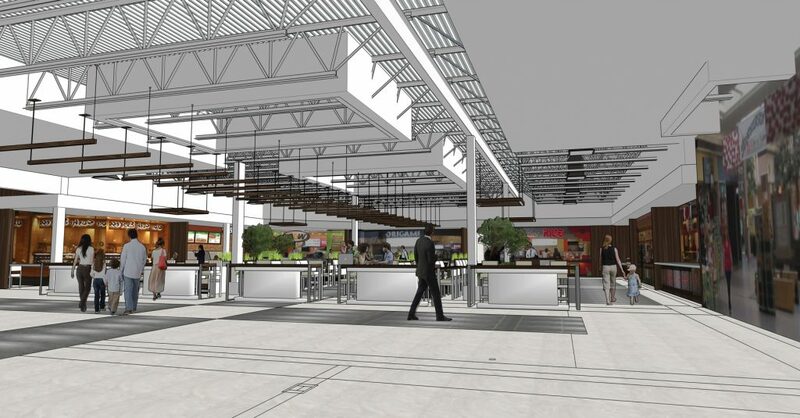 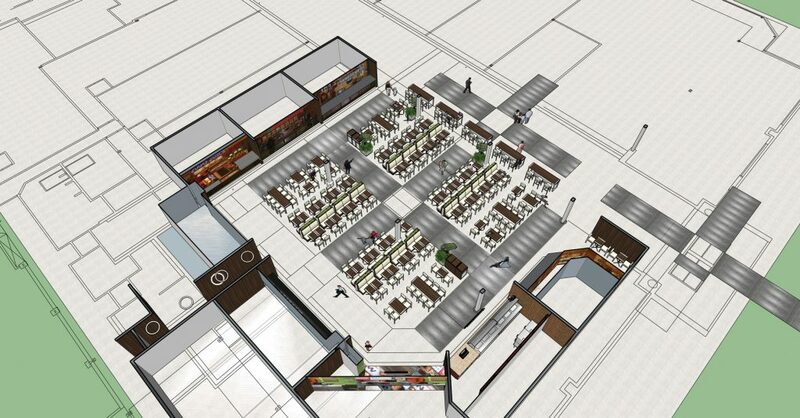 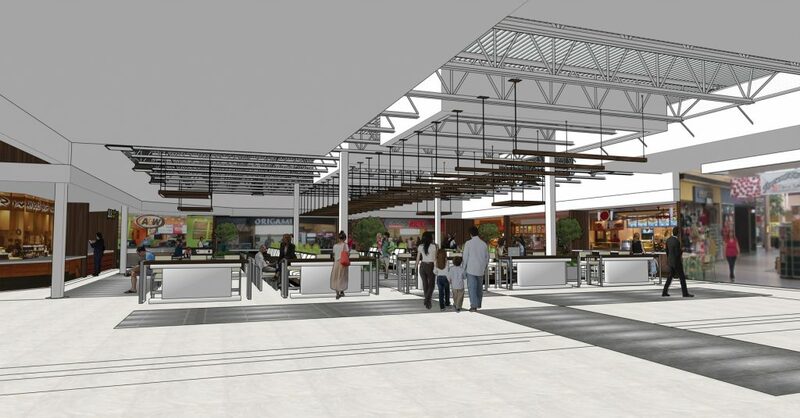 Our food court renovations have begun. Please note, our main washrooms are shut down for the renovations. 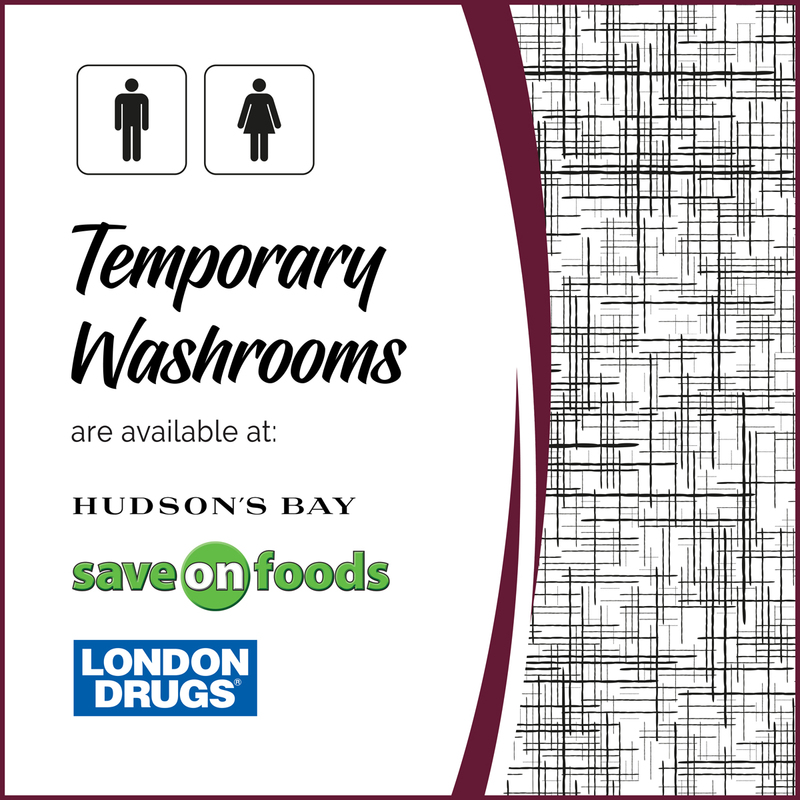 Alternate facilities are located at : London Drugs, Save on Foods and Hudson’s Bay. 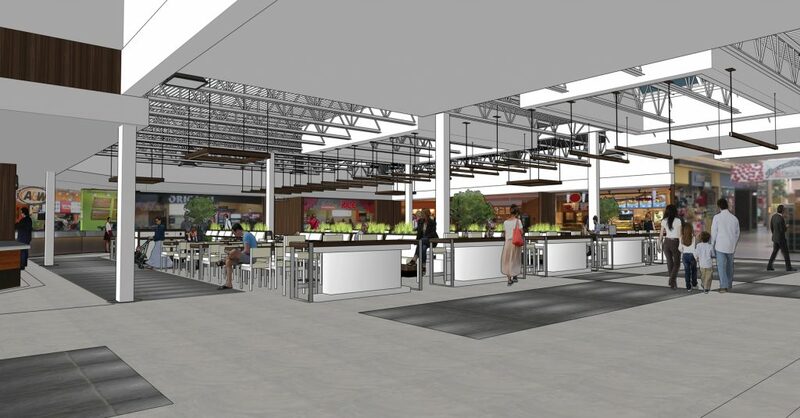 Visit this page regularly for updated news and photos of the renovations!